Instrument Transformers There are 3 products. 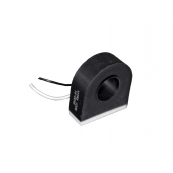 This Donut Current Transformer Provides A Proportional 0~50mA Signal From a 0~50A Current Passing Thru The Donut Hole. 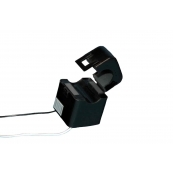 The Metered Signal From The CT Can Be Integrated With A Panel Meter or Utilized By A Temperature Or Power Controller To Trigger An Alarm Detecting A Shorted Heater Or SSR Circuit. 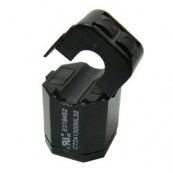 Dimensions are 0.65"ID Hole X 1.40"OD X 1.50"H X 0.50"D And Comes With An Adhesive Pad And 16"Leads.